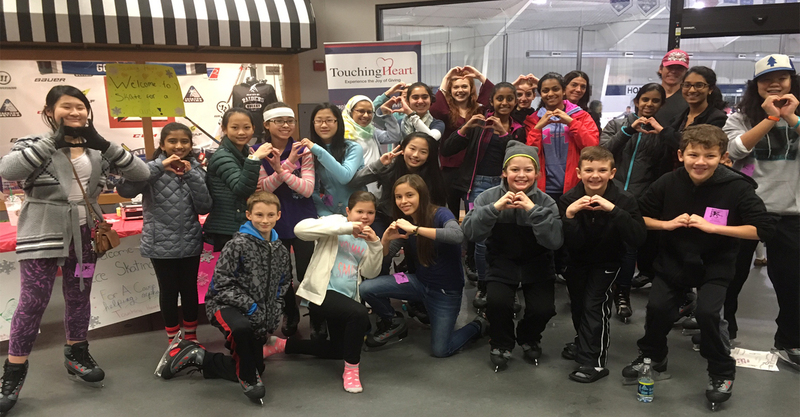 Over 100 kids and adults laced up their ice skates at Skatequest in Reston to support the Rachel Carson Middle School Touching Heart Club Ice Skating for a Cause event. We heard four members of the club speak about what being in the Touching Heart club means to them and why they are inspired to give back. Funds raised from Ice Skating for a cause will purchase a dairy cow and hens for an orphanage in Uganda, providing nutritious food for the children and a source of income for the orphanage, helping them to be self sustaining. Thanks to all who came out to support this wonderful cause! Check out the images here!